Meet the BaroCook Pressure Pot: a 47oz pot that heats to 214.7F for up to 30 minutes. It is flameless, so you can cook your meals anywhere. You get 5 large heating packs to get started. 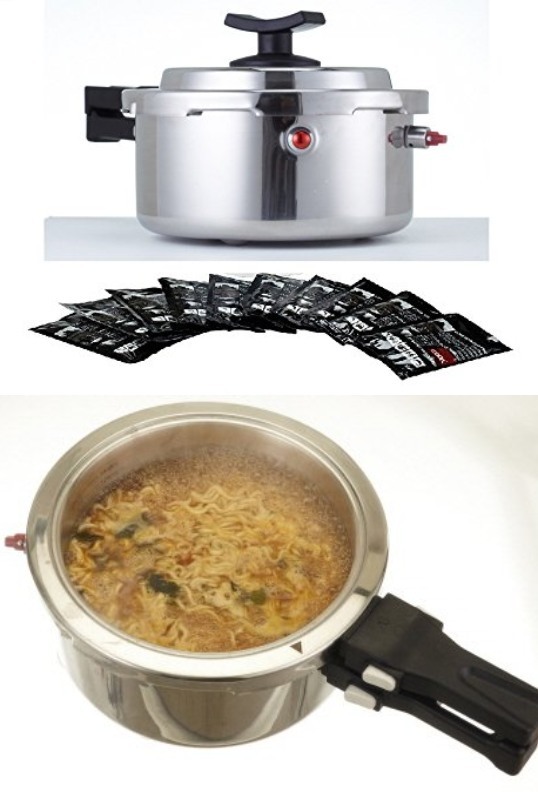 This pressure pot is easy to use: simply separate the outer pot from the inner pot, place food into the inner pot, cover with the lid, put two heating packs inside the outer pot, and place the inner pot back in. Close the pressure valve, and wait till your food is ready. Like what you see? Sets you back under $110.